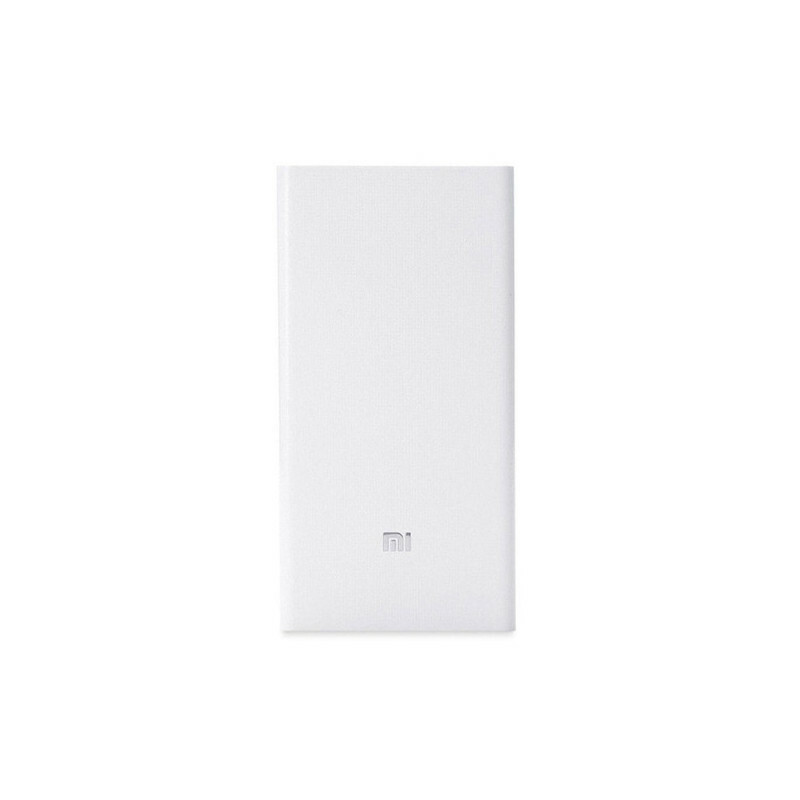 Another version of Xiaomi's largest power bank. 20000mAh capacity, two USB output, QuickCharge 3.0 support in both directions, compact size. 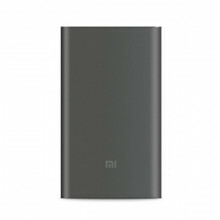 Another version of the popular 20,000mAh power bank, labeled 2C ! If you remember some, the first generation allowed fast-charging only powerbanka itself, the second generation brings this great feature even for charging end-products from power bank as well as new versions. So, if you have a QuickCharge 3.0 (or older 2.0) phone, you charge it much faster than your previous generation. The new PowerBank comes with a PCB + ABS body and rugged surface for a better hold in hand. 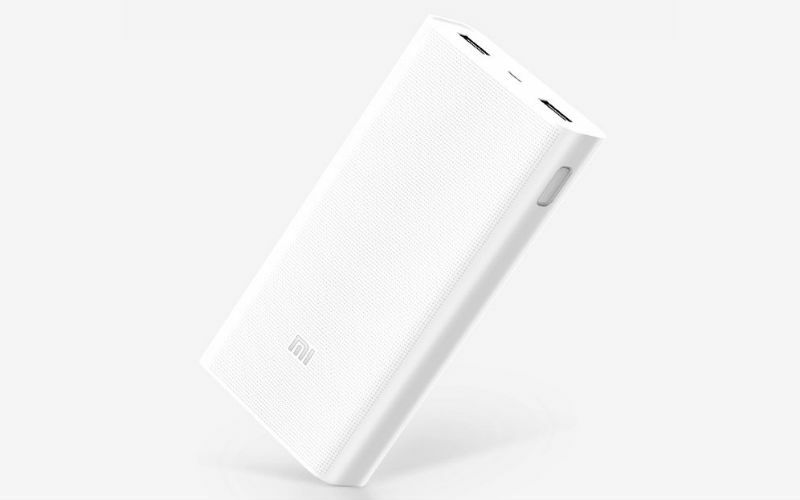 Xiaomi promises a minimum life of 3 years this time to the extent that the power bank maintains more than 90% of the capacity after 300 charging cycles. Within this power bank, we find a pair of flat cells known by the ATL brand, which also adds its articles to Samsung for their tablets. The capacity of 20,000 mAh is standard at 3.85V, so the actual capacity is around 13,000 mAh at 5.1V. 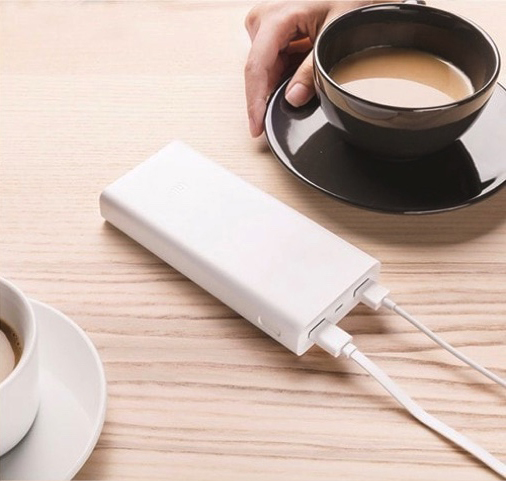 The biggest advantage of this PowerBank remains the support of Quick Charge 3.0 for fast charging of compatible devices as well as FastCharging for PowerBank charging itself. 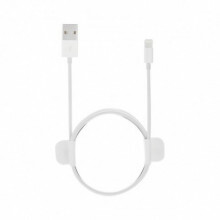 When charging with an adapter that supports this feature, charging time is incredible 6.2 hours, if you do not have this adapter, charging time with the standard 5V / 2A charger is about 10 hours. The location of the trigger button remains on the side of the powebanka, for a more comfortable operation with one hand. 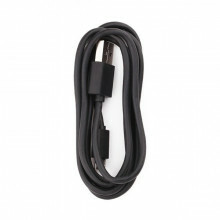 The new feature is charging devices that require a low current such as Mi Band (0.025) and Mi Bluetooth headset (0.06). If you need to charge a device, simply press the power button twice to switch to low power mode. Other devices like Mi 5X charge 4.3 times, Mi Mix 2 3.8 times, iPad Mini 2.5 times, and iPhone 7 up to 7.1 times. 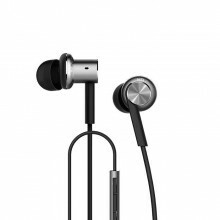 It can also charge GPS navigation or MP3 players. The new PowerBank is a little heavier than its predecessor, but still weighs just 360g. It also increased slightly, the dimensions are 149.5 x 69.6 x 23.9 mm, which is quite decent on the capacity of 20 000mAh.